THIS IS A PREORDER – expected April delivery! SIZE 3 wraps are in stock now and available to ship immediately! 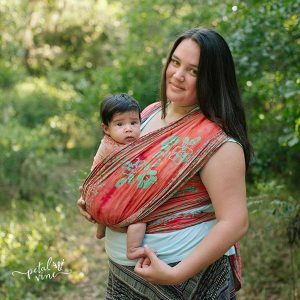 This baby wrap is specially hand-woven with the perfect amount of give and support for a newborn wrapped against your heart or a weightless carry that won’t sag with your active toddler! SKU: N/A. Categories: 100% Cotton, Best Sellers, Geometric Patterns, Girasol Wrap Exclusive Designs, Green Wraps, Multi-Color Wraps, Natural & Brown Wraps, New Wrap Designs, Search by Design Style, Search Wraps by Fabric Content, Stripes, Woven wraps for Dads, Wrap Your Baby Exclusive Wrap Designs, Wraps by Brand, Wraps for Beginners. Tag: exclusive custom earthtones autumn harvest. THIS IS A PREORDER – Girasol Sherwood wraps are being handwoven and are now expected in April! Once the wraps are woven, I will have Girasol ship directly to European customers from Germany so you will have Sherwood in your hands and around your baby sooner! As always, my US customers get FREE Priority Mail shipping as soon as these gorgeous wraps reach me. 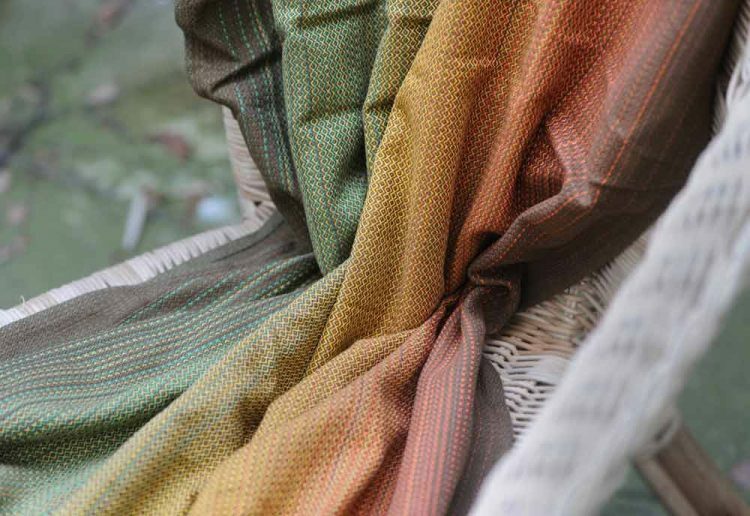 This intricate honeycomb weave is beautiful in the dancing earthy shades of Girasol Sherwood, a design inspired by sunlight filtered through a leafy canopy. Designed by Kali Designs and brought to life by Girasol. Named for the greenwood of the Robin Hood legends, Sherwood is all the colors of the woods through the seasons of Winter, Spring, Summer, and Autumn. 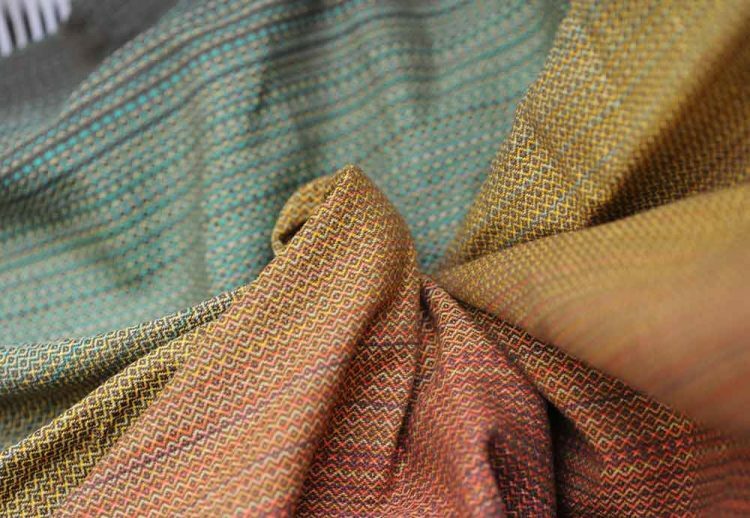 The harvest hues create an ombre from brown to red, through orange, yellow, and green, with darker edges in a dusty brown belotta weft. 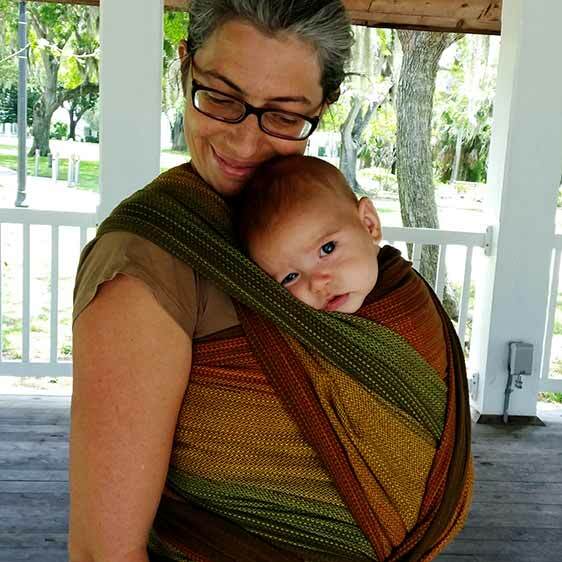 This wrap was handwoven in Guatemala under fair trade practices, making it an ethical consumer choice and perfect for those who wish to support artisans. 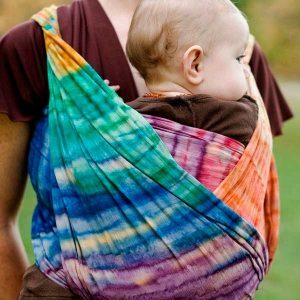 This wrap is 100% cotton so it is easy to care for and does not need babying. The Sherwood Girasol can be machine washed, may be ironed and occasionally – if haste is required – even dried in tumble-driers. 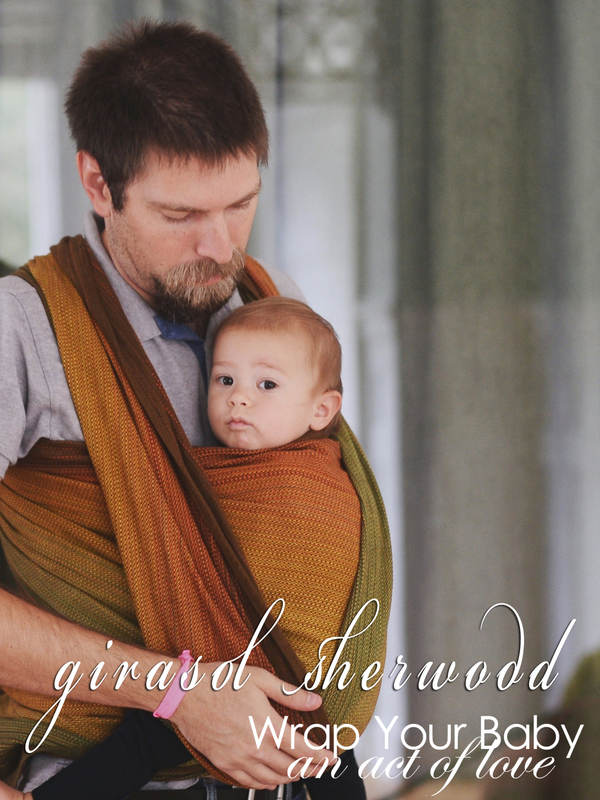 This Girasol Sherwood is a soft and cuddly choice for wrapping your baby. It is soft brand new which makes it easier for a new wrapper to learn to use. 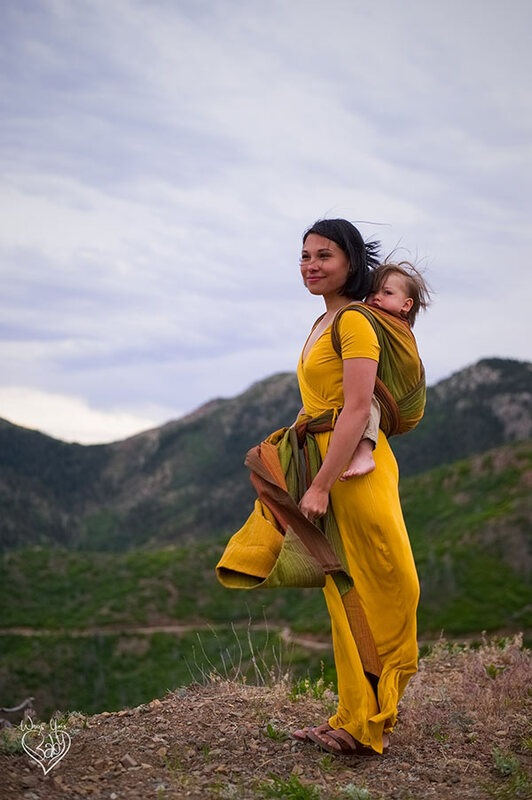 Comfortable and safe for front, back, and hip carries for newborns through toddlers. Because of the color gradient, Sherwood Girasol makes it easy to keep track of your rails – meaning that you always know which side of the wrap is which and can tell if it had become twisted. 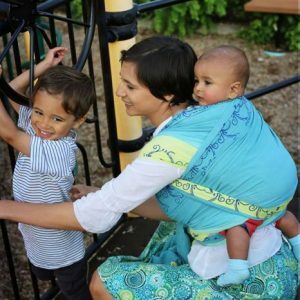 This helps you get a smooth and even wrap carry that will stay comfortable for hours with even heavy toddlers! 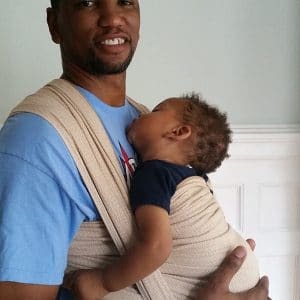 Woven wraps are the best way to carry your baby close from newborn through toddler so you never have to size up and they never outgrow it! They are always a custom fit so there’s no adjustments when a different caregiver needs to use it or when your baby grows. No attachments or accessories, no buckles or weight bearing seams – just beautiful hand-woven fabric for the most comfort and versatility. You can choose a size 5, 6, 7, 8, or 9 for full length carries (see the sizing tab) or a shorter wrap for shorter, faster carries that have fewer layers. Whichever way you go, you are sure to love the convenience of hands free comfort and a content baby! When I first saw the wrap on Facebook I knew it had to be mine. Colours are georgous! This is my 6th Girasol in the stash, so it wasn’t surprise for me that it is super soft and very supportive. I bought size 6 to pracitise double hammock and it is just perfect for this. 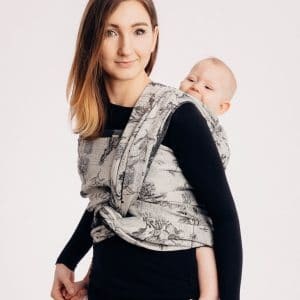 I believe this could be excelent choice if you want to have just one wrap, soft and semi-thin at the beginning and then great for double layer wrapping for toddlers. This is my third Girasol, but only my second that I bought new. I was expecting it to take a little while to break-in, but it was soft when I got it! I washed and dried and it and it is already floppy and easy to use with my baby. It feels light and airy, but secure, and so nice to snuggle into. And the colors are even prettier than the pictures. I love my Sherwood. The wonderful, warm autumn colors make my heart beat faster. It was pretty soft and cuddly from the beginning. A great purchase that I will never regret! I love Girasol wraps! 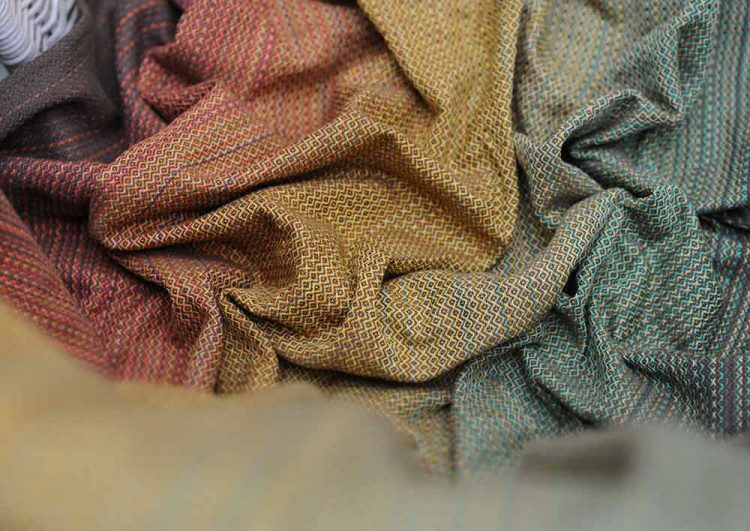 They are thin without being diggy, breathable while still being supportive, easy to care for, soft from the start, and woven in saturated colors. Girasol Sherwood is one of the most elegant gradient colorways I’ve seen, earthy and glowing in the sunlight. The diamond weave is particularly supportive for my toddler and not prone to thread pulls. Girasol Sherwood is lovely as it, but I went a step further by unhemming the rails to reveal tight, clean selvages and hand fringing the tails to highlight the gorgeous colors of the warp. I get admiring compliments whenever I wear it!